The plantain business is one of the available business opportunities in Nigeria that is yet to be tapped in its full potential. Apart from its nutritive values, plantain remain one of the agricultural produce that has so many uses and it is widely acceptable across the globe as food, snacks, appetizer or desserts. 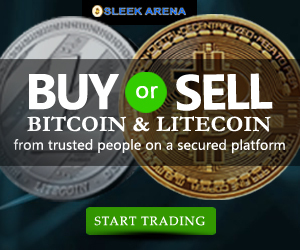 There are different ways we can invest in it with detailed business plan in place. Among the ways of investing in plantain are plantain plantation, plantain chips production, plantain recipe exploration, plantain oriented services, etc. Before I dwell on the investment opportunities around plantain, let me quickly run a brief history on plantain for sake of knowledge and people who may not know it. Plantain belong to the group of shrub in the family of Musa Paradisaical. The physical appearance of plantain is greenish in color (the outer covering pod), it is slightly curve in length and when ripe, it has dark or yellowish color with dark patches . When plantain is peeled, the inner fruit is slightly yellowish and can not be eaten raw except it is cooked or allowed to go through the process of ripening. It can be cooked, roasted, baked or fried depending on the mode applied for preparation and intended form to be eaten. Plantain contain low saturated sugar, sodium and it is a good source of potassium, magnesium, phosphate and dietary fiber. Also, it contains important vitamins that aid vision, good skin and immunity. Such vitamins are Vitamin A, B6 and C. Plantain taken in balanced quantity in diet help to maintain trim and perfect body shape. Plantain contains about 220 calories and the largest number of calories come from it’s starch content. There seems to be two types of plantain from a layman point of view. As said earlier, some people mistake plantain for banana and vice verse. Plantain is bigger and longer than banana when matured although, the tree that produce them are similar in appearance. The number of fruits on a bunch of banana is more ranging from 30-40 pieces while the number of fruits on a bunch of plantain is between 10-25 depending on the size and maturity of the plantain. Banana is smaller in size compared to plantain. When banana is matured, the outer pod (cover) remain green (some species may turn yellow when ripe and there are a couple of other varieties) and can be eaten raw because the inner tissue is soft and very sweet. It is easy to peel at this stage. Generally, banana is easier to peel than plantain because one can use bare to peel it while a knife is atleast needed to cut both the anterior and posterior parts of plantain even when it is ripe. Plantain at maturity with green outer cover (pod) color can not be eaten raw except allowed to undergo process of ripening or cooked. The reason is that, the inner fruit is still hard and starchy hence, one feels slight acidic taste if attempted eaten raw. Both plantain and banana can be fried in hot oil to make plantain chips. Plantain is grown majorly in countries like Uganda, Colombia, northern and Southern America. Also, in Caribbean, Sri-lanka, Nigeria, Malaysia, Mexico, Hawaii. In Nigeria for instance, plantain is widely grown on farm land as plantain plantation around the eastern part of the country like Benin, Calabar, Port Harcourt, Akwa-Ibom, and some part of the West like Ondo, Ore, Idanre, Owo e.t.c Plantain grows nearly in every tropical region and it has wide acceptability coverage making it a product with core market potential. This form part of the reasons why it has lucrative investment opportunity. The mode of eating plantain differs from country to country and from place to place even within a given region. In Nigeria, unripe plantain (green outer cover) can either be cooked to form porridge or roasted with groundnut into ‘bolee’. It can also be fried in hot oil and produced into chips. The ripe plantain can either be eaten raw or taken with pap or smoke ‘gari’. Ripe plantain can be sliced and fried into crispy chips or dodo. The chips are a form of snacks for appetizer and it can be filling when taking with a bottle of soft drink. The dodo can be taken as meal with fried egg, rice and Beans or either of the two. This meal is a good source of protein, carbohydrate and vitamins- a balance diet indeed. In the same vein, plantain shoot has been discovered to be rich in fiber. When the juice from plantain shoot is extracted and taken regularly, it is believed to help cure kidney stones and stomach ulcer. It is also a good remedy for constipation. Alcohol can be produced from plantain when allow to undergo the process of fermentation. You can see that plantain is useful in variety of ways. It is necessary to know the available market potential of plantain because, market size among other factors will guarantee the continuity and growth rate of the business. Plantain has huge market acceptance partly for its nutritional value and the versatility of its derivatives. Apart from the different ways by which it can be prepared and supplemented with other food depending on individual interest and region, every part of plantain have one use or the other starting from the sucker to stem, leaf and the fruit itself. 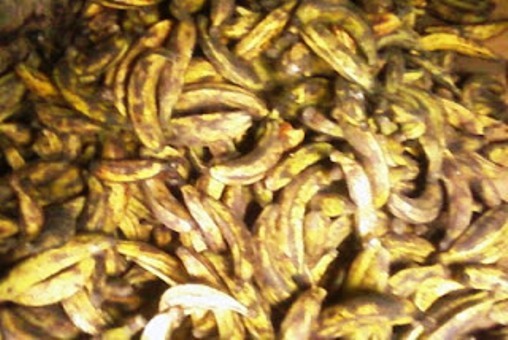 The sucker is a good source of income for plantain farmers. Intending plantain farmer would need plantain sucker as seed to develop and propagate plantain plantation especially if the sucker is high yield hybrid and good species like Honduras. The juice in the stem of plantain is believed to cure kidney Stone, stomach ulcer and good remedy for constipation. So, this juice from plantain stem can be extracted, packaged and sell to people that needs it. Plantain leaf is widely used to preserve cola nut. In the beach and some suburb regions, it can be used instead of plate to collect food. In Nigeria, it is used to wrap moi-moi. This again fills a need within that segment. So also, plantain can be eaten in a whole lot of ways making it widely acceptable by people. The nutritional content of plantain is another reason for its high demand. Both young and old crave for it. Hardly would you find a class of people who does not take plantain in one form or the other unlike other vegetables. All these put together increase the market potential of plantain. Plantain business is one business in the food industry that worth investing because, it has lot of self-diversification lines with specific market demands. A core business oriented person should by now ask, how can I invest in this product because, there is a need and demand is high. Business is all about servicing a need for profit. I write this article for people who crave to start a business and direct their own profit making venture. Principally, there are four ways we can invest in the business of plantain? Ways of investing in plantain business. 2. Production of plantain chips. Don’t hesitate to contact us should you need help in any way within our service capacity. We shall be glad to assist you all the way. Dare to start your own business. Please how do i do the blanching? Get a bowl of water and immerse sliced plantain in a perforated basket. Stir a little. That’s all about blanching. Yes, but it must not be too ripe.